June 16, 2010, 11:51 a.m.
What will Iceland’s new media laws mean for journalists? By Jonathan Stray @jonathanstray June 16, 2010, 11:51 a.m. The Icelandic parliament has voted unanimously to create what are intended to be the strongest media freedom laws in the world. And Iceland intends these measures to have international impact, by creating a safe haven for publishers worldwide — and their servers. The proposal, known as the Icelandic Modern Media Initiative, requires changes to Icelandic law to strengthen journalistic source protection, freedom of speech, and government transparency. “The Prime Minister voted for it, and the Minister of Finance, and everybody present,” says Icelandic Member of Parliament Birgitta Jónsdóttir, who has been the proposal’s chief sponsor. Her point is that Iceland is serious about this. The country is in the mood for openness after a small group of bankers saddled it with crippling debt, and the proposal ties neatly into the country’s strategy to be prime server real-estate. But although the legislative package sounds very encouraging from a freedom of expression point of view, it’s not clear what the practical benefits will be to organizations outside Iceland. In his analysis of the proposal, Arthur Bright of the Citizen Media Law Project has noted that, in one major test case of cross-border online libel law, “publication” was deemed to occur at the point of download — meaning that serving a controversial page from Iceland won’t keep you from getting sued in other countries. But if nothing else, it would probably prevent your servers from being forcibly shut down. There might be other benefits too. Wikileaks says that it routes all submissions through Sweden, where investigations into the identity of an anonymous source are illegal. Wikileaks was heavily involved in drafting and promoting the Icelandic package, and whatever your opinion of their current controversies, they’ve proven remarkably immune to legal prosecution in their short history. Conceivably, other journalism organizations could gain some measure of legal protection for anonymous sources if all communications were routed through Iceland. All of which is to say that issues of press censorship have long since passed the point of globalization. When an aggrieved party in country A can sue a publisher in country B through the courts of country C (as in these examples), press freedom must be understood — and fought for — at an international level. “It has not only an impact here, but in changing the dialog in Europe,” Birgitta Jónsdóttir told me. But it will be some time before the full repercussions of Iceland’s move are felt. For a start, the new laws are not yet written. Icelandic lawyer Elfa Ýir of the Ministry of Culture is leading the drafting effort, and expects to have the help of volunteer legal experts and law students. (“Iceland is still suffering from the financial meltdown,” says Birgitta Jónsdóttir.) The complex legislative changes will be passed in several parts, possibly beginning late this year. And then it may be further years before we understand, from case law, exactly what an “offshore freedom of expression haven” means to journalists worldwide. Nonetheless, I hope to get a discussion started among the high-powered media law types at the Annenberg-Oxford Summer Institute next month, and we’ll see if we can get a more precise understanding of the practical consequences of Iceland’s move — and how journalists might use it to protect their work. If you have some insight, do drop the Lab a line. 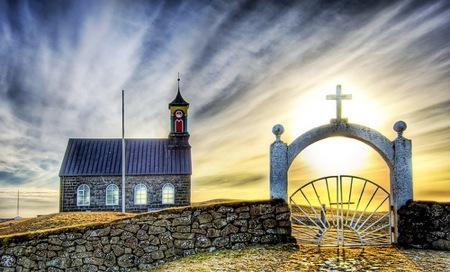 Photo of Iceland by Trey Ratcliff used under a Creative Commons license. POSTED June 16, 2010, 11:51 a.m. Stray, Jonathan. "What will Iceland’s new media laws mean for journalists?." Nieman Journalism Lab. Nieman Foundation for Journalism at Harvard, 16 Jun. 2010. Web. 19 Apr. 2019. Stray, Jonathan. "What will Iceland’s new media laws mean for journalists?." Nieman Journalism Lab. Last modified June 16, 2010. Accessed April 19, 2019. https://www.niemanlab.org/2010/06/what-will-icelands-new-media-laws-mean-for-journalists/. | title = What will Iceland’s new media laws mean for journalists?